NYCT is a new customer for Collins Bus and the contract represents the single largest commercial order in the history of the company. REV Group announced that its Collins Bus Corp. subsidiary was awarded a $26 million-dollar contract from the New York City Transit (NYCT) to provide 400 paratransit busses. Buses will be built to NYCT’s custom specifications on a Ford F350 chassis. 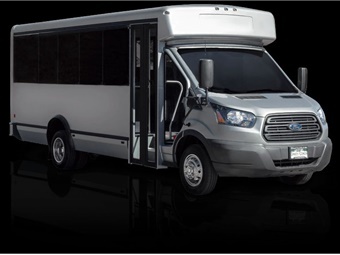 They will feature a flexible 20-foot length, 138-inch wheelbase, single-rear wheel (SRW) design and wheelchair lift, making the buses accessible, easily maneuverable, and efficient. The bid for the NYCT opened in the fall of 2016 and was awarded to Collins Bus in July 2018. NYCT is a new customer for Collins Bus and the contract represents the single largest commercial order in the history of the company. The NYCT contract comes on the heels of Collins Bus’s 50th anniversary and the launch of the brand’s new low-floor bus product — an industry-first innovation that offers passengers unparalleled benefits with respect to safety and equal accessibility.